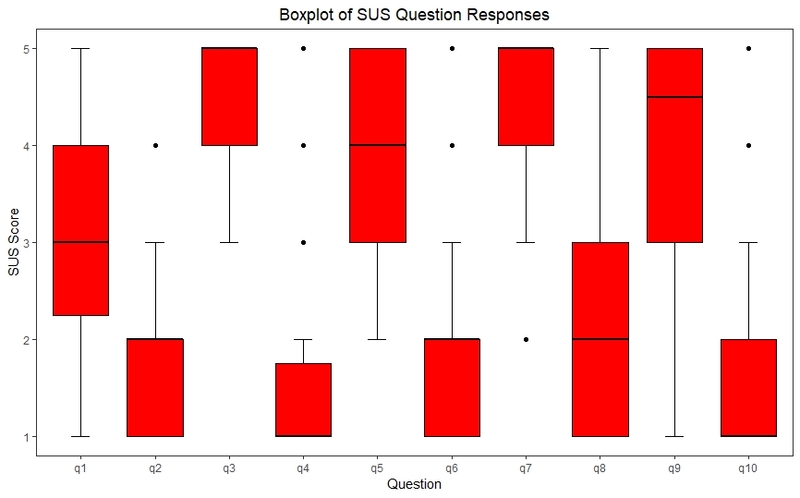 So what I want to do is create a boxplot in ggplot that puts question number along the x axis, and score up the side. I know how to do a boxplot with just ONE question, but how can I do it for all ten? But it just gives me the same output. I've tried looking in ggplot documentation but I can't see anything that even remotely looks like what I'm trying to do. And yes, I am aware that r has a built in boxplot() function, but I don't want to use that because I want my box plots and bar plots to have the same style, and I don't like the way the barplot() function in r works! 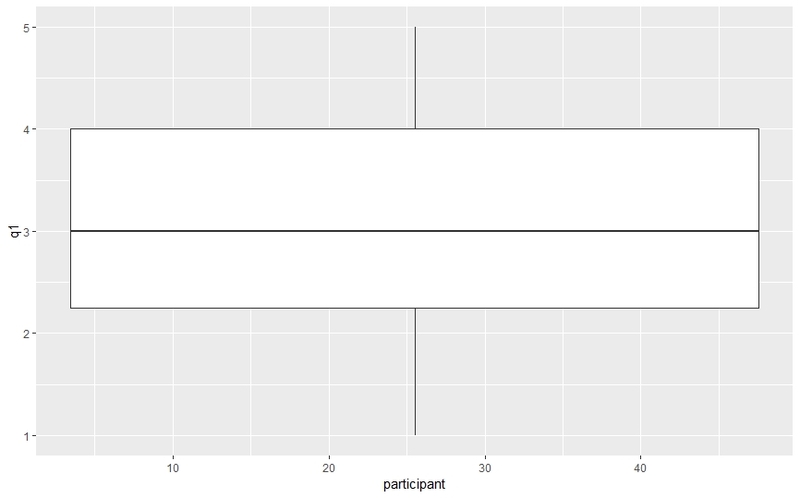 This created a box plot that gave me what I wanted, but the x-axis values were out of order (i.e. they went q1, q10, q2, q3, q4....). I found a solution to this here, and used Tjebo's solution. How do you specifically order ggplot2 x axis instead of alphabetical order? How to get different colors related to treatment for boxplot and violin plot (ggplot / using geom_split_violin) that are plotted in one?